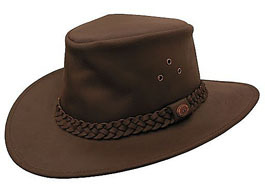 The Dundee is a Kakadu classic leather hat that has a mid-high rounded crown and a medium brim. 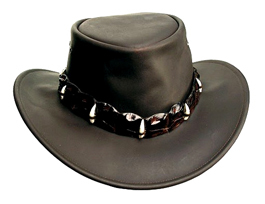 The hatband is made from genuine Australian crocodile backstrap and teeth. Specially treated grain leather with a smooth rich dull lustre that is free from all surfaces imperfections with a waxy finish. A firm handle that will relax with age. 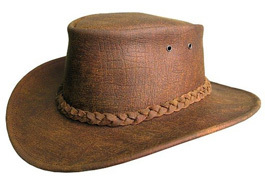 The Croc is a leather hat with a high rounded crown and a medium brim, "Croc" hatband, ventilation holes and a built in chinstrap facility. If you don't want to spend the bucks but want the look, then this is the one for you. 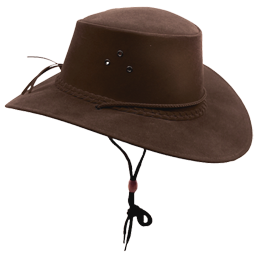 The hat has the traditional Australian style with its slightly cured brim and triple eyelets that ventilates around the top of the head. 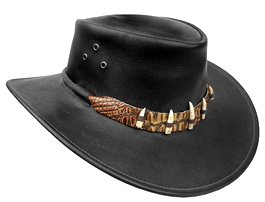 The hat band is embossed and hand printed leather that are the colours of a real crocodile on top of which we strapped in 5 molded crocodile teeth, we even stained them to give that real look. We call it the "Packer" because that is exactly what you can do, it's our leather packable. 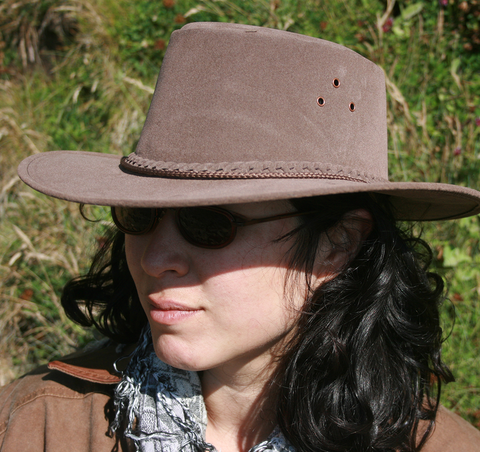 Cowhide, with our round braided hat band and three eyelets on each side of the crown. 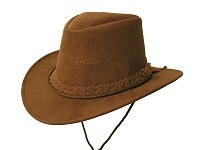 You will notice on the Packer that the crown is slightly more pinched at the front and the brim slightly rolls adding that Australian bushman image. 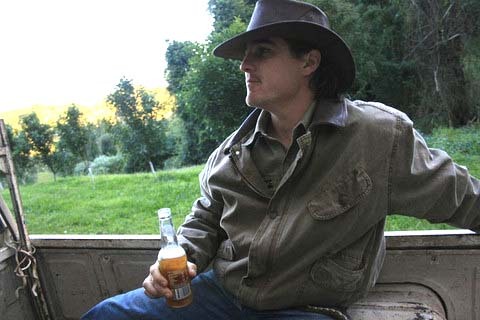 Out in the bush you need something as tough as your days work. The Darwin is made from Kangaroo which is an ultralight and durable leather that is perfect for warmer climates, especially since it is rated with a Ultraviolet Protection Factor of 50+. The lowered pinched crown made from the Grain Roo leather means its super comfy and the medium brim will keep the sun out of your eyes. 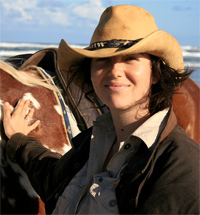 There are over 100 different species of kangaroo in Australia, none of which can be farmed, and with the larger herds consisting predominantly of the Reds and Greys. The government permits only licensed hunters under strict supervision to cull these herds and only in overpopulated areas. 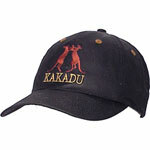 Kangaroo leather is renowned for its tensile strength and ultra lightweight. 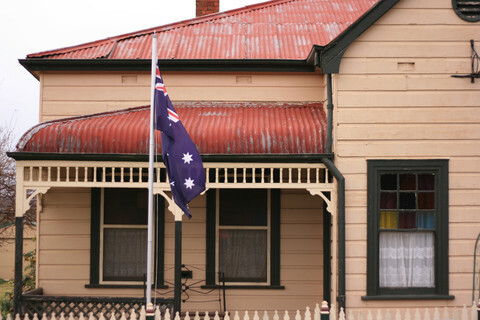 As all kangaroos are from the wild, scarring on the leather is characteristic. 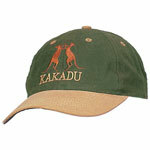 The Roo is a Kakadu Classic that has been constructed from waxed kangaroo leather which is known for its durability and ultralight weight. 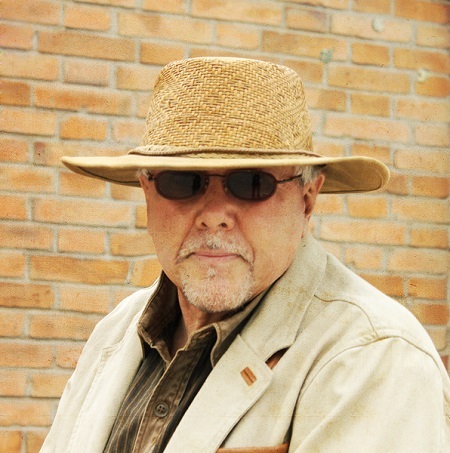 The softness of the leather means that the lowered pinched crown will slip comfortably on, the medium brim and UPF 50+ rated fabric means that you'll be protected in the sun and the built-in chinstrap facility means you can add a little security if the wind picks up. Even you can look like a gentleman, or dapper, as my father would say. Mossback cowhide suede finely buffed, we incorporated the Kakadu signature shape to the side, then, set triple eyelets on a 45 degree angle in a straight line. 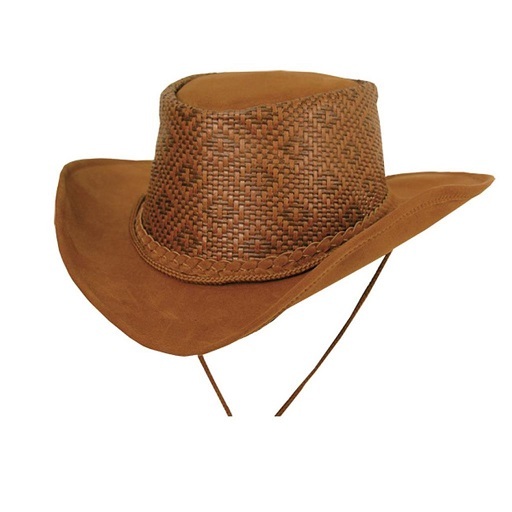 The fine three strand hand braided hat band with the Roo logo on the side just to add that finishing touch. Crown Height: 3 3/4" / 9.5 cm. 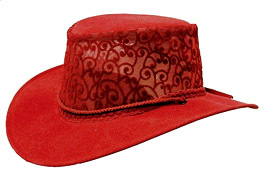 Brim Width: 3" / 8 cm. 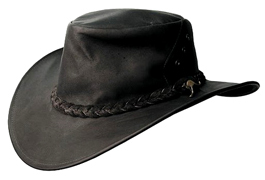 The Southern Cross, named after the design of the ventilation eyelets, is an ultralight hat that is crushable yet durable. The softness of the leather means that the lowered pinched crown will slip comfortably on, the medium brim and UPF 50+ rated fabric means that you'll be protected in the sun and the built-in chinstrap facility means you can add a little security if the wind picks up. 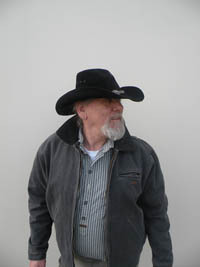 Please be aware that hats made from thicker leathers usually run smaller and hats made from thinner leathers are generally considered full fitting. Built in kangaroo camouflage, you can try hiding amongst the herd if you are silly enough. It is packable and like most of our Roo hats and comes with the Kakadu signature slash line on the side of the crown where we set triple eyelets. 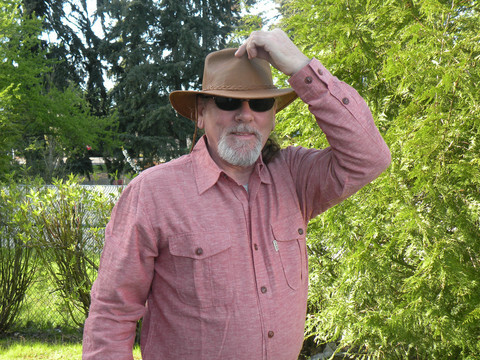 The brim is pliable so if you crease the hat during packing it's easy to reshape, we complete the look by using our round braid for the hat band. 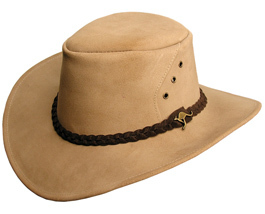 The Narrabeen is made from a richly textured Kangaroo leather which is both ultralight in weight yet durable. so you'll be protected even at the of height summer. 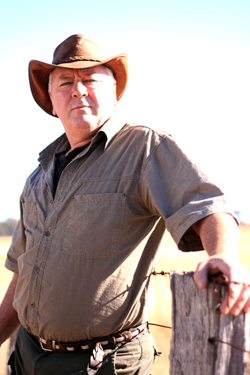 Oiled Buffalo hide leather, this is for the working bloke, higher crown for maximum air circulation, triple eyelets, and the traditional three strand hand braided hat band, built in chin strap placement so you can add your own chin strap. 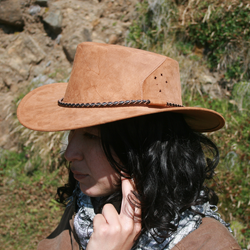 We even added a few tassels at the back to keep the flies of the back of your neck. 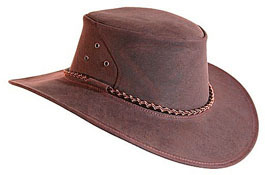 Wipe down with wet cloth to clean, flat dry.The Iron Cove is a robust leather hat that has a high pinched crown, medium brim, 3-strand hatband and a a built-in chinstrap facility. Oil impregnated for maximum wet weather protection. Complemented by a rugged texture & firm handle. A cut above the rest. 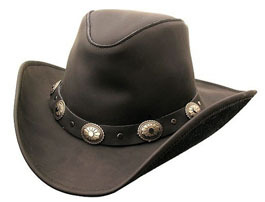 If you have always wanted your mesh hat to be in leather than this is it. 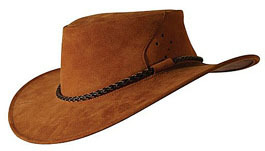 Mossback cow hide suede form the brim and cap with tone on mesh to forming the crown. 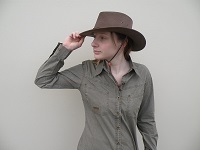 We then used a contrast chocolate brown three strand, hand braided hat band for that little lift. Wipe down with wet cloth to clean, flat dry. 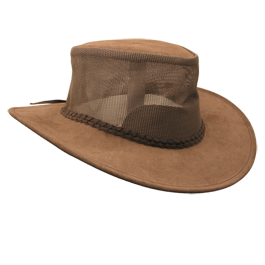 The ultralight Cape York canvas hat is great in warmer climates with it's wide brim and Ultraviolet Protection Factor of 50+. It is also water resistant and has a built-in chinstrap for when the weather turns. 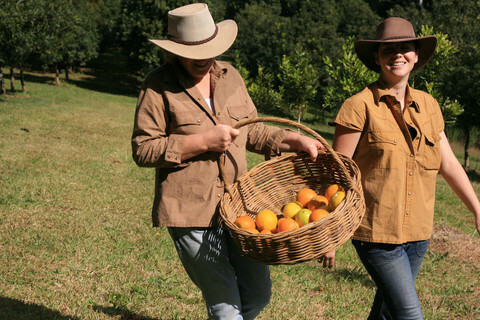 All hats in our canvas range come with a built-in chinstrap, are waterproof and have a UPF 50+. They are ultra lightweight - they weigh less than 150gr/ 5oz. 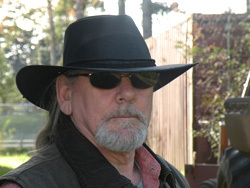 The Bulldog is a leather hat with a lower pinched crown, medium brim, ventilation eyelets and chinstrap facility with an extreme, rugged aged effect and a rating of UPF 50+. 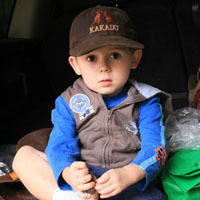 All "SOAKA" hats are designed so that you can dunk 'em in water, shake 'em and wear 'em. Great way to keep cool on those hot days. 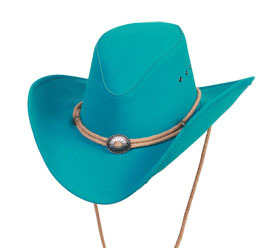 You can't keep the cowboy or cowgirl out of this hat! 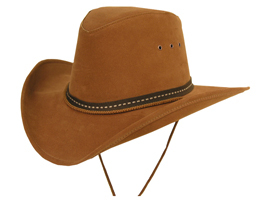 Triple eyelets on the crown for optimum ventilation and traditional concho hatband. Shapable. 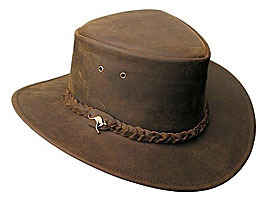 The Northern Territory is a western style hat with a high crown rolling down to a low peak in the front. 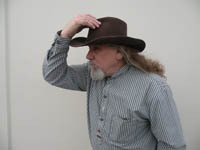 The styling is from the traditional "South Wester" and is designed to drain water away from the top of the hat. 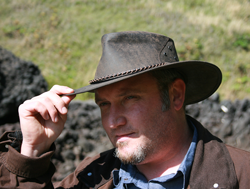 Again the crown has triple eyelets on each side to allow for good ventilation and a shapeable brim so you are ready for whatever nature deals you. 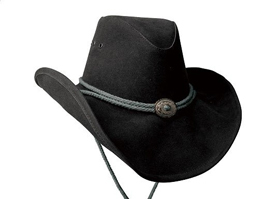 Complemented with a concho on a corded hatband and a built-in chinstrap. 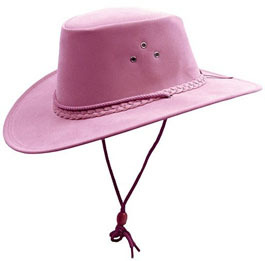 The Western Plains soaka has a high crown which follows the traditional western look, triple eyelets on each side to allow airflow and a shapeable brim so you can choose your own adventure. 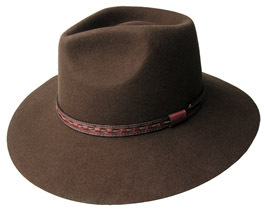 Complemented with a two-tone hatband and a built-in chinstrap. 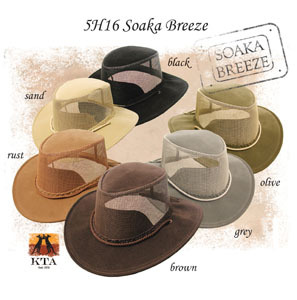 The Melaleuca Soaka Hat has a straw-type crown to keep you extra cool, shapeable mid-sized brim to protect you from the sun and a 3-strand hatband. Built-in chinstrap. Crown height is 3 3/4 inches, brim width is 2 3/4 inches. 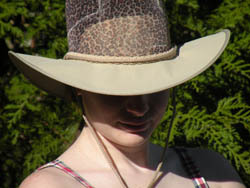 The Ceduna Soaka is a European style hat. 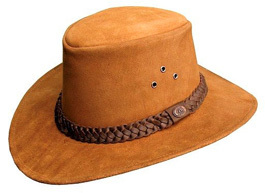 Solid soaka fabric, double eyelets each side, classic profile with a full crown and a 3-strand hatband. Built-in chinstrap. UFP50+ rating. Crown height is 3 3/4 inch. 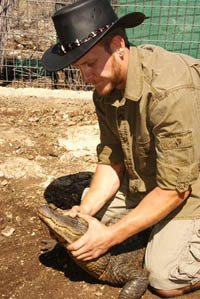 Brim width is 2 3/4 inches. 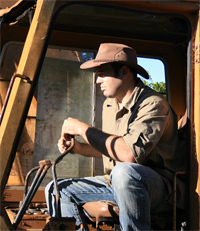 All hats in our micro-suede range come with a built-in chinstrap and have a UPF 50+. They are ultra lightweight - they weigh less than 150gr/ 5oz. The Florentine adds a touch of class when it's hot out. 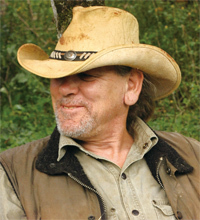 Featuring ventilating mesh to keep you extra cool, a 3-strand hatband and a built-in chinstrap. When it's hot out, release the animal within. 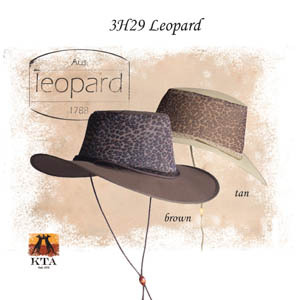 The Leopard is an ultralight hat wide brim made with ventilating mesh to keep you cool and water resistant canvas rated with an Ultraviolet Protection Factor of 50+. 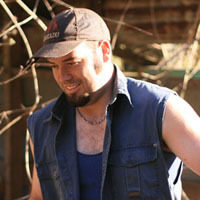 Fitted with a built-in chinstrap. Fabric Type: Micro Suede with perforated mesh, PVC/Nylon. Sporting an extra wide brim, the Soaka Stroller will protect you from the intense heat of the Summer sun whilst its perforated mesh crown lets in the cool breeze. Fitted with a built-in chinstrap. 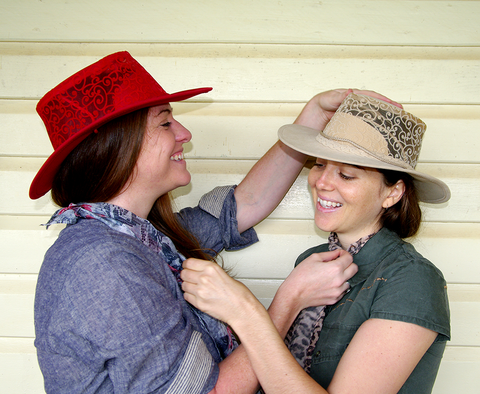 This is our traditional Australian styled hat, again in our soaka fabric. 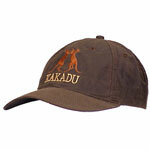 We have used a firm mesh to keep the crown off your head and allow plenty of air circulation. 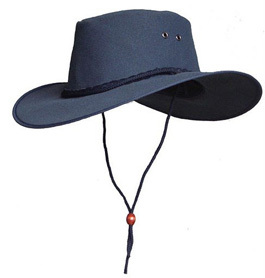 Three strand hat band with back tassels, chin strap, Wipe down with wet cloth to clean, flat dry. 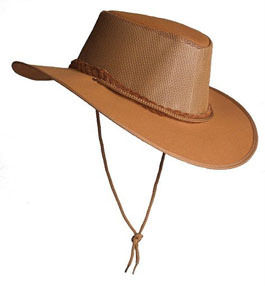 If you have ever been to Townsville then you will know why you would need a hat like this, if it's not bucketing down its thinking about it. Very light coated canvas makes up the cap and brim, and then we meshed the sides (crown) so breeze can flow straight through. We used a synthetic mono filament (real thick fishing line) to hold the brim which is pliable enough to fold away when you are traveling. 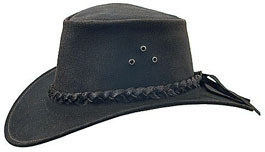 Other features are the three strand hand braided hat band with back tassels and draw corded chin strap. This beauty is for when you are out to impress. 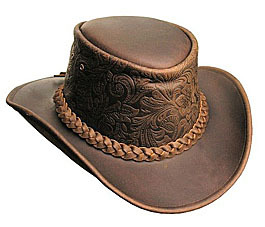 There is a deep rich luster in this full grain leather and the metal Roo logo on the side that we used to close the hand braided hat band just adds the final touches. 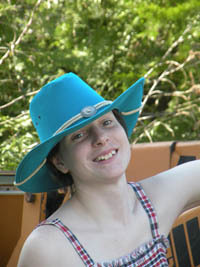 The crown top is a little more rounded and we added double eyelets on each side, flexi brim wire give the hat a great curve. 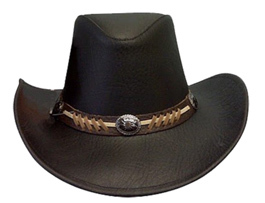 The Razorback is a leather hat with a mid high pinched crown, shapeable medium brim, the hatband has traditional American conchos. Specially treated grain leather with a smooth rich dull lustre that is free from all surfaces imperfections. A firm handle that will relax with age. If you're looking for something a little bit different and a whole lot of fun then why not play with the Spainard. 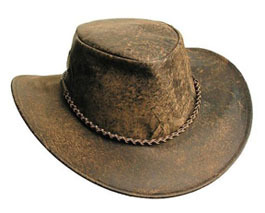 This shapeable hat is made from our Vintage leather on the brim and the crown is an embossed pull-up leather which adds both a texture and depth that is not seen very often. 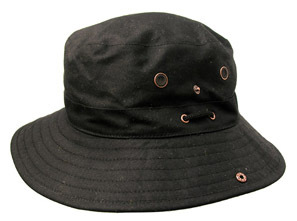 It has a full crown, medium brim, ventilation eyelets, chinstrap facility and a rating of UPF 50+. 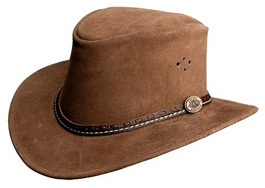 Please be aware that hats made from thicker leathers usually run smaller and hats made from thinner leathers are generally considered full fitting. 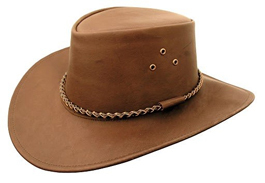 One of the first hats in the collection and a definite Kakadu Classic, the Bushranger is a leather hat with a high pinched crown that has been fitted with ventilation eyelets, 3-strand hatband, medium brim, and, like most Kakadu hats it has a built-in chinstrap facility. 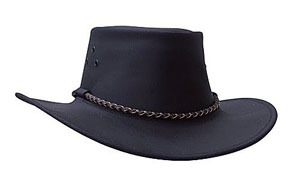 The Geelong is a leather hat with a height pinched crown and a medium brim, ventilated eyelets it has a built-in chinstrap facility and an 3 strand braid hatband. 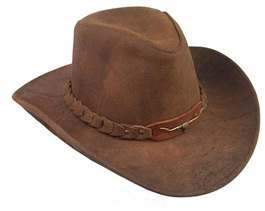 Please be aware that hats made from thicker leathers usually run smaller and hats made from thinner leathers are generally consided full fitting. 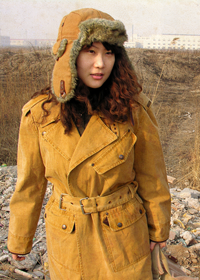 The Mainlander is a leather hat with a medium pinched crown, narrow brim, welted hatband, ventilation holes and chinstrap facility. 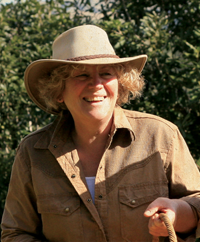 Rated with a UPF 50+. 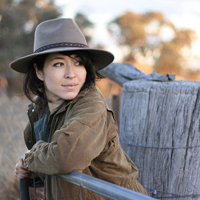 The Taree is a pressed wool felt hat with a medium pinched crown, wide brim with a handwoven hatband. 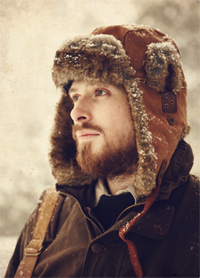 Perfect for colder climates, it is water resistant and depending on the style, crushable. It has a super-soft handle and low lustre. 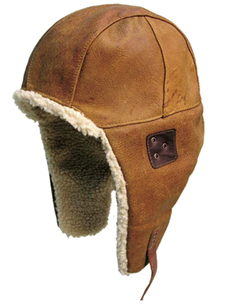 The Flying Doctor is a Cap made from vintage leather with cowhide trim, wool sherpa lining, Keeps you warm in the winter. 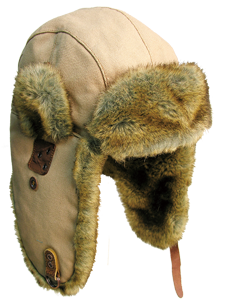 The Inlander is a cap made from vintage leather with cowhide trim, faux rabbit fur lining that will keep you toasty and warm in the winter. A rugged vintage look that is remarkably supple to touch, It is a enhanced by a special treatment designed to mimic the unique worn appearance of traditional leathers. It gets real cold here, doesn't rain much but the wind blows and your ears burn from the bite of the cold wind. If you have ever been to somewhere like that, then you need one of our Rhino canvas Huskies. 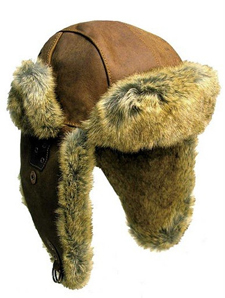 Trimmed with cow hide leather, metal hardware, and lined around all the exposed areas in a thick mock rabbit fur, the inside cap is a thick quilted taffeta just to add to the snug. We stone wash these hard to add to their character. Waterproof and windproof yet breathable. 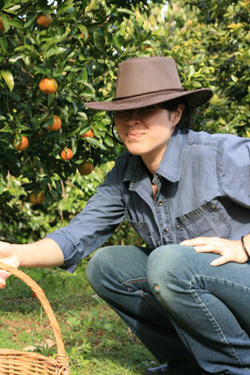 This two way hat stretcher is robust and durable. 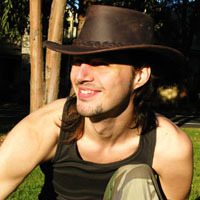 Tapered blocks of fir on a turnbuckle fit against the leather sweatband to absorb moisture and maintain the hat's proper shape and size when stored. 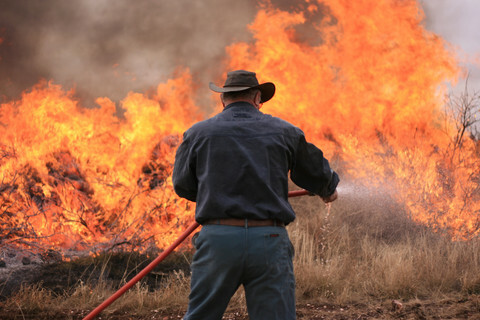 If your hats must of necessity be dried or stored under warm conditions, regular use of the stretcher will be beneficial. 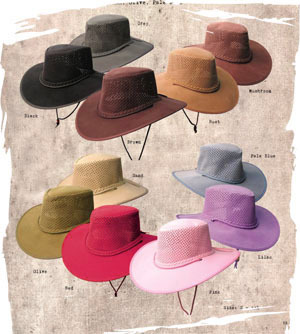 Three sizes are carried to fit a range of hat sizes. Made in USA.